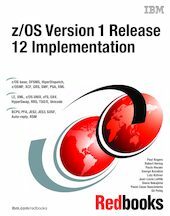 This IBM® Redbooks® publication describes changes in installation and migration when migrating from a current z/OS® V1R10 and z/OS V1R11 to z/OS V1R12. Also described are tasks to prepare for the installation of z/OS V1R12, including ensuring that driving system and target system requirements are met, and coexistence requirements are satisfied. New migration actions are introduced in z/OS V1R12. This book focuses on identifying some of the new migration actions that must be performed for selected elements when migrating to z/OS V1R12.